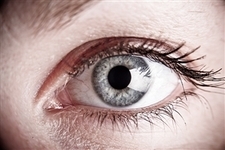 A hybrid contact lens product may win an industry accolade for its maker in the US. ClearKone, made by San Diego-based SynergEyes, is a finalist for CONNECT"s annual Most Innovative New Product Award. The ClearKone product is made for people who suffer from keratoconus, a condition in which the cornea becomes misshapen and vision is affected. According to SynergEyes, 90 per cent or more of all sufferers need contact lenses. Co-founder of the firm Joe Collins said that it is devoted to advancing contact lenses to treat the condition. SynergEyes claims that ClearKone is the first hybrid contact lens for people with keratoconus which has been passed by the Food and Drug Administration in the US. It has a special "skirt" attached to the main body of the contact lens to keep it on the eye. SynergEyes also produces contact lenses for other conditions. These include astigmatism or needing corrective lenses for reading or viewing things at a distance.